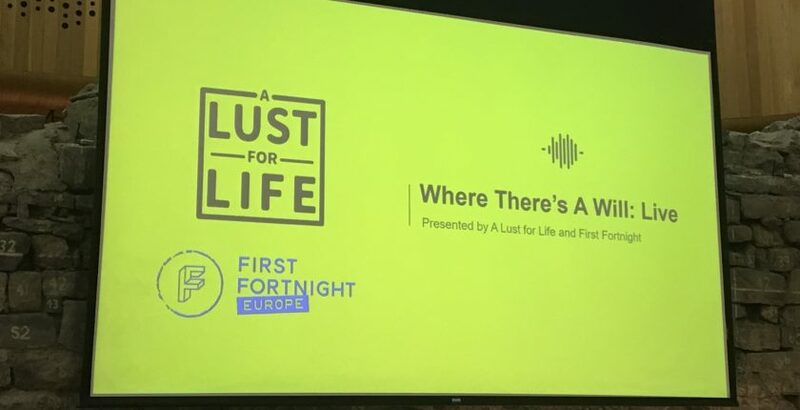 A final bonus episode of A Lust for Life‘s Where There’s A Will podcast series was recorded live at the Woodquay venue, in Dublin, on Thursday 17th January 2019 as part of this year’s First Fortnight Festival. Click here to listen to the full bonus episode of the Podcast. This podcast series has tackled issues such as stigma, discrimination, gaps in service provision, and structural issues in the mental health services in Ireland. Bringing together professionals, stakeholders and those who have used the services, the podcast has aimed to host constructive conversations, present solutions and drive change in Ireland’s mental health system. A Lust for Life held a final reflective panel discussion, chaired by podcast co-host Paula McLaughlin, for its final episode as part of the First Fortnight festival. The discussion centred on key issues such as access and pathways to mental health services, children’s mental health, barriers for migrants, stigma, and the future of the services. Access to services is still the most pertinent issue for many with mental health difficulties, with Paula McLaughlin expressing that “a human should be met with empathy when they’re in pain, not a system.” The panel agreed having a 24/7 mental health service available in Ireland would be of huge benefit to people in crisis, who are otherwise placed on lengthy waiting lists. Due to a lack in resources waiting times are at an all-time high, especially in child and adolescent mental health services. Investment in community led mental health services is key to the improvement of people’s lives. Early intervention at a community level could mean that people are less likely to enter or re-enter the services in crisis. Currently the Oireachtas is looking at legislation on how the HSE is run but the legislation says nothing about transparency or holding the HSE accountable for how resources and funding are disseminated throughout the health service. The panel accountability is vital for the improvement of pathways and the provision of care with Niall Breslin stating that radical, creative change is needed. Dr Miriam Kennedy also explained that there are many simple changes that can be made if we want people to get the best care and get specialism at the front line. Amending the Medical Practitioners Act to allow recognition of the internship year in other countries would mean more doctors could come and train in Ireland. She also noted the cap on the amount of trainees approved, despite rising interest in psychiatry as a career. When discussing the role of the government and politicians in the services it was felt that mental health is not seen as a key issue with Dr Eddie Murphy stating “mental health does not get votes”. Many children don’t receive an appointment for up to a year after a first assessment. A year is a huge time in a young child’s life and problems may not just go away, but instead worsen. Children in ethnic minorities are also less likely to access services with many parents having a lack of trust in the Irish system and taking their children abroad for treatment. PTSD is very common in refugee children and supports to integrate children into society are vital. Dr Eddie Murphy pointed out the fact that CAMHS is used as a default which may not be suitable for all children. He stressed that we need to be looking at poverty, counselling in schools, and psychosocial interventions. Emilia Marchelewska, from Cairde who work to tackle health inequalities among ethnic minority communities, said that a key barrier to accessing services from a migrant perspective is knowledge of the system. Knowing where to go for help, what you are entitled to, language barriers, a lack of interpreters, and mental health illiteracy can be extremely challenging for those who are part of ethnic minorities who need to access the services. Cultural stigma also affects migrant’s access to services, with trust being a big issue, many people choose to access help through religious and community leaders instead of the public or private services. It was also noted that there are no trauma treatment services in Ireland, like there are in the UK. Stigma was discussed with many agreeing that we have come a long way in relation to talking about anxiety and depression which many attributed to the recession. During the recession people were allowed to admit they were struggling as things were tough nationwide – whereas now that ‘excuse’ to be feeling unwell due to your circumstances is no longer acceptable. Workplace stigma is also very prevalent with Dr Shari McDaid pointing out that while it is illegal, in a work context, to discriminate against someone for having a disability or a mental illness it still happens. Also at a community level those with chronic enduring mental illness still face exclusion. 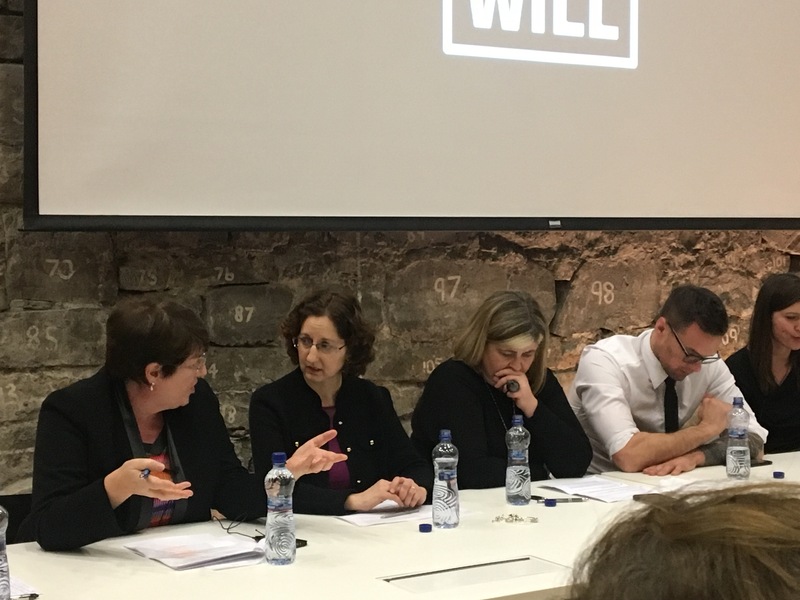 However Dr Miriam Kennedy did note that there is a whole new generation of over 65’s who now have the language to talk about sexual abuse for the first time ever, a testament to a more open and accepting Ireland. The national dialogue has shifted and Irish media are relatively responsible when reporting mental health and issues with the services. Social media can also be a source of bullying and racism, with Ireland still lacking in legislation around hate speech. The panel also highlighted that fact that many people may soon be uncomfortable with face to face interventions, due to so much time spent in front of a screen, so therapy may have to reflect this. Click here to listen to the full “Where There’s A Will” Podcast Series.